Life is a story filled with many chapters, some more pleasant than others, but each adds more dynamics to our own role in history. People are placed in our lives that either remain a constant force, while some fade away over time becoming more of a memory with every passing day. This Legend nominee isn’t and has never been one for the spotlight. Though her ability to rise to any challenge, endure difficulty, and overcome all odds stacked against her with such fearlessness, she possesses a type of super power only few are born with. As a result, believing in the power of courage, Barb Taylor is a fighter and beacon of hope. By sharing with us her incredible story, she wishes to redirect the attention from herself and only serve as a voice for the silent by bringing awareness to breast cancer and offering words of encouragement to anyone suffering. -You are not alone in your fight. We must lean on each other when the weight becomes more than enough to hold. It’s then and there where we gain our strength. By recognizing the unraveled beauty found after a storm, Barb has discovered the true meaning of life. For her, it’s the quiet moments among nature, familiar faces of loved ones, and a long stretch of open road leading her to a new destination. 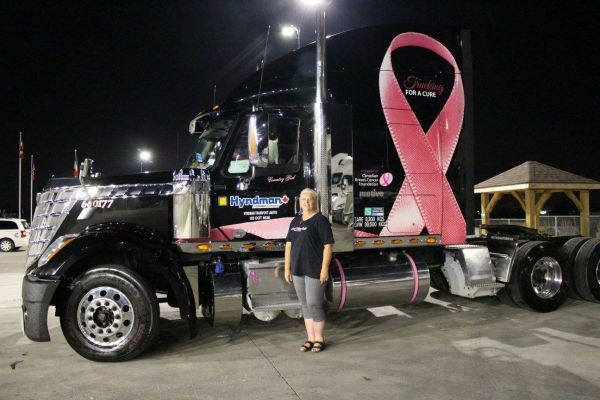 This is the beautiful story of Barb’s 11-year battle with breast cancer and how her position as a professional truck driver plays a significant role in her own personal journey. 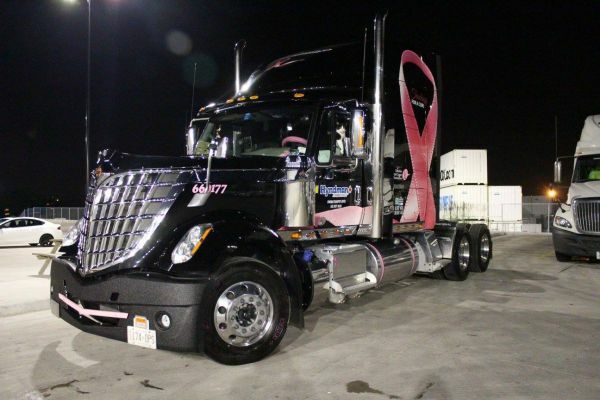 She continues to inspire women, mothers, female and male truckers, along with anyone that has been in the path of cancer’s destruction. Her bravery is empowering and a literal force that she embodies as daily armor. Barb’s positive outlook reminds us all that with the right mindset, nothing can steal your joy! In 1963, Barb was born in Canada, in the province of New Brunswick’s city capitol, Fredericton to be exact. After transitioning over from office personnel to behind the wheel running over the road in 2008, she has accumulated over a million miles to-date. In Canada, she has traveled from the east coast to the west coast, yet to reach the Northwest Territories. Here in North America, her stretch has run through every state except Alaska, Arizona, and Rhode Island. In 1979, Barb landed a job working for a trucking company as a receptionist. Unfamiliar with the trucking industry and not knowing anybody in the business beforehand every aspect of the trade intrigued her. Next, she was trained in the shipping and receiving department, which put her in direct communication with truck drivers that were out on the road. As she settled in to her position, she started listening more to the drivers and learning about their lifestyle as truckers. She says, “I remember thinking, Wow! That’s a good way to see the country. 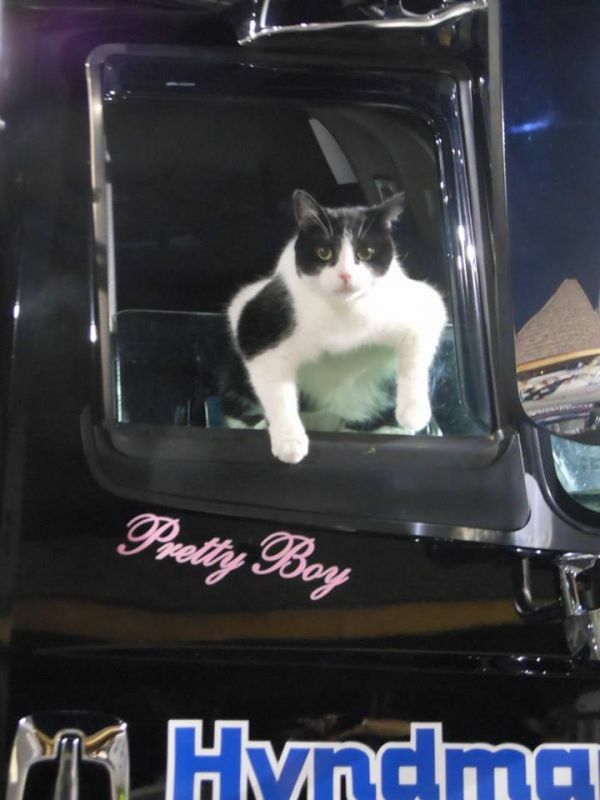 These drivers have it made.” Barb was curious, but not quite enough to jump into a truck… yet. She continued working in customer service, then later in accounting. Over the course of twenty-nine years, Barb wore several hats in the transportation industry, including upper management. The more established her career expanded in responsibilities, the more apparent her dream job became: Barb wanted to drive a truck and explore the country. She ultimately wanted to live out the stories she had heard over the phone many years ago as a young woman eager to know more. However, for years to come her dream would remain just that; a dream. She had a very important reason for the delay, and that reason being called her mom. It was the year of 2006. As if a dark cloud had appeared over Barb, bringing her entire world and all that she knew to a complete standstill. Melissa was fifteen at the time, and in the process of completing paperwork for an extended trip to tour France through her school’s French Program. Their preparation was about a year in advance, all that was left to work out was the payment plan to finalize Melissa’s big adventure. That September Barb received a phone call from her family doctor, instructing her to come in the office to discuss results pertaining to a recent test. She was diagnosed with breast cancer. Immediately her mind went to Melissa… ‘What am I going to do?’ ‘I don’t want this to interrupt Melissa’s plans to go to France!’ ‘I don’t want her to be deprived of that experience.’ ‘How am I going to tell her?’ Despite given the devastating news, Barb went into work and explained the situation. As expected, everyone was extremely understanding, but it was the following conversation she was dreading. That December on the 6th, Barb had surgery leaving her with the prognosis of stage one breast cancer. January 12th, 2007, she began chemotherapy; six excruciating rounds of chemo every two weeks. The month of May came with twenty rounds of radiation; given in consecutive days. She says, “Once I was in remission I was given Tamoxifen to take for the next five years, but the damage was already done. Every bone in my body was suffering from all of the treatments I had to endure.” From what I’ve learned, a person’s mind can remain sharp even during the most unimaginable circumstances, but the human body can only withstand so much before reaching exhaustion. Even during Barb’s darkest hours, she never wavered from what was important. With help from Melissa’s grandparents, and the payment extension from the school, Melissa was able to join her classmates on their trip to France. A full year later, with time to recover and get back into the swing of things, September of 2008 Melissa was off to college and Barb’s opportunity to pursue her dream of becoming a certified truck driver had finally presented itself. Hyndman Transport; a Celadon Company based out of Canada, hired her right out of school. She loved the company’s family-atmosphere and driver-friendly policies. At Hyndman Transport, everyone knew her background and fully supported her cause in raising awareness to the deadly disease. The only downfall was the 2 ½ hour drive back home from her terminal. 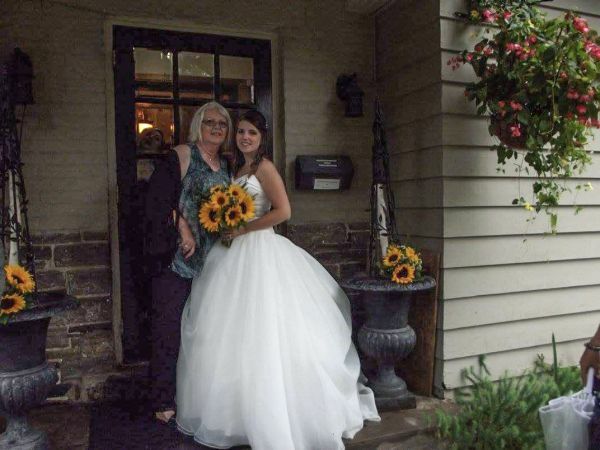 In May 2012, Barb changed jobs to drive for another trucking company. That August, in a fluke accident, Barb was struck by a forklift truck while walking across a parking lot at a shipping yard. The operator, moving 8,000 pounds of potatoes ran over her left leg. 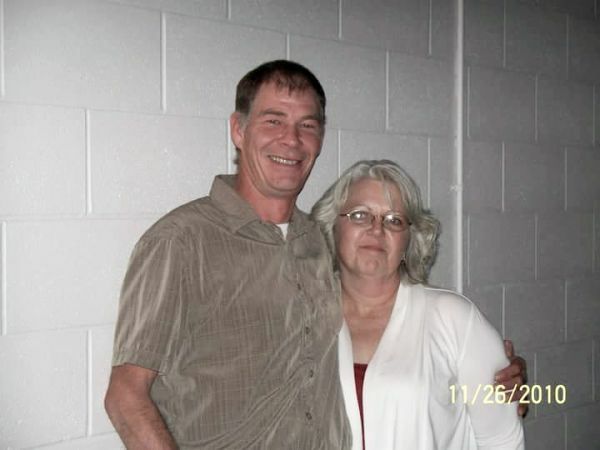 When released from the hospital, Barb had staples in her head and severe damage to her left side, impairing her ability to drive a truck due to the clutch. The following three months she relied on a cane to walk. Just before Christmas, Barb was scheduled for another follow-up mammogram appointment. During the actual testing, judging by the sharp pain instead of the usual discomfort, she was instantly alarmed. Because of the time spent recuperating from her injuries acquired from the previous accident she was unaware of the new discovery that confirmed her biggest fear. She had developed a lump on her left side breast. When January arrived, Barb entrusted Melissa and Scott’s sister to accompany her for the oncologist visit. This time it was stage 4; the final one. The cancer was tucked behind the breast bone and rib, meaning surgery was not an option. Barb was told that chemo was her last resort. However, there was a possibility that radiation could shrink it. Thirty-three treatments later, it worked about 50%. Her predicted life expectancy was two years. That was in 2013. In September 2013, Barb returned to Hyndman Transport as a company driver. On her bucket list, she had always wanted her own truck. August 14th, in 2015 she was officially able to check that off her list. Barb became an owner operator and leased a 2016 Lonestar truck on to Hyndman Transport. With that said, let’s rewind a bit… Since 2010, Barb has been involved with Trucking for a Cure; a community-based, non-profit organization that operates on volunteers to raise public awareness, help fund cancer research, and spread information so everyone is well informed on the latest news and events. Their commitment is to support programs geared towards enhancing the quality of life for people living with cancer. Barb was selected as a leader not only for her fight against cancer, but for the real impact she demonstrates within the trucking industry. 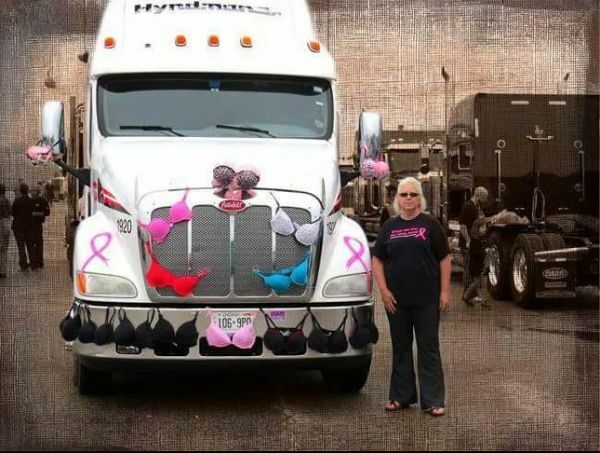 Barb was asked by Joanne Miller-Mackenzie; Trucking for a Cure Event Organizer, to be a part of the Trucking for a Cure Convoy for breast cancer in Western Ontario. Joanne is a cancer survivor herself and 25-year veteran driver, there is nobody better to originate a convoy to help bridge together the trucking community with the public than a woman of influence and experience. When Joanne found out about Barb purchasing her first truck, she contacted Kathy Cartan; President and Creative Director of Motive Media, located in Bolton, Ontario. Battling cancer for over a span of eleven years has only pushed Barb to do more now, than ever before. Her dispatcher at Hyndman Transport is excellent in working with her monthly doctor appointments and scheduling her home-time. Every three months she returns to receive a treatment, then back to the road she goes. Barb’s humble presence, strong willpower, and advocacy for breast cancer makes her a true inspiration to follow your dreams and live life to the fullest.